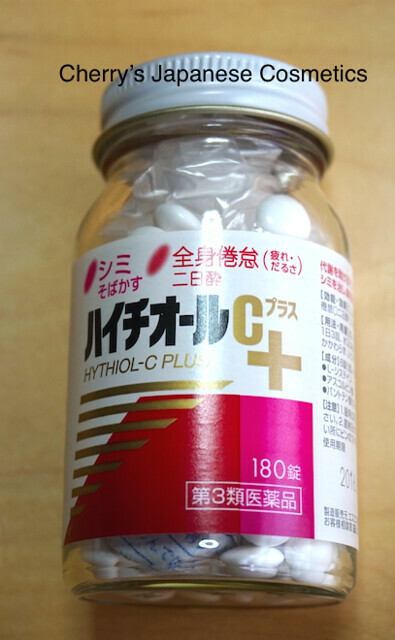 Cystina C is a famous vitamin C in Japan, and I (Cherry) also use Hythiol C Plus often. They are not pretty big different product. Both are categorized as medicine, but both are not prescription medication. Why Hythiol C Plus? Just accessibility for me, I can find this easier than Cystina C.
It is whether there are Vitamin B6 or not what the biggest difference between Cyctina C and Hytiol C Plus. I take Vitamin Bs by other vitamins. They are in glass bottles, heavy bottles, and we wrapped pretty carefully. They were wrapped by bubble wrap, and covered. If you need this product, ask us! We do as customs order. Please check by yourself whether your countries customs accept medicines imported by mail or not. We just write as “Vitamin”. In case of prohibited and removed by the customs, we could not refund it. Order us in your own risk. Ask us from “Contact US“. *The price could be changed in situations.